Yes they do need to work on their disguise I mean really that was way to obvious!! They probably didn't use the newspaper because of their lack of arms LOL. "Duck and Cover" - I love it, Pixel!....Very strange situation for sure....hmmm....really makes you wonder doesn't it? Keep us informed of any details you find out, OK!! 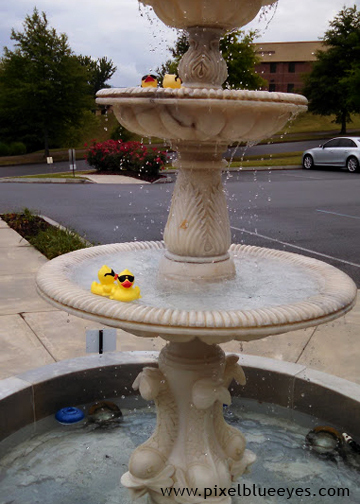 We've seen some of those duckies around here too! In fact, we have some in our HOUSE!!! They really are stealthy… I mean, we knew they were here, but we had no idea they were SPIES!!! Thanks for sharing this valuable information, Pixel! I actually laughed out loud. Good think Pixel is on the case to protect her mommy! 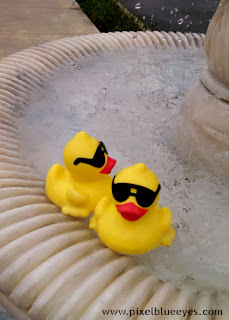 I've also never seen ducks in sunglasses... sneaky, very sneaky! Mystery ducks! I used to collect rubber duckies. Lol, I wonder how they got there. They must be up to no good! Those sound like some pretty shady duckies to me, I'm glad you are on the case! 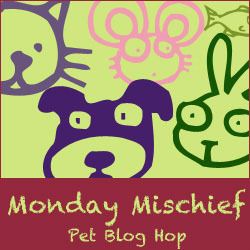 Love this post, so clever! Whoa! Duckie spies. I wonder if any of our toys are secretly spies. OMRD!! Oh My Rubber Duckies!! 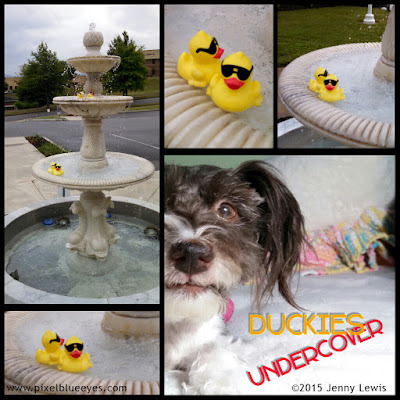 You are an awesome little agent ...keep us up to date on those little duckies!! 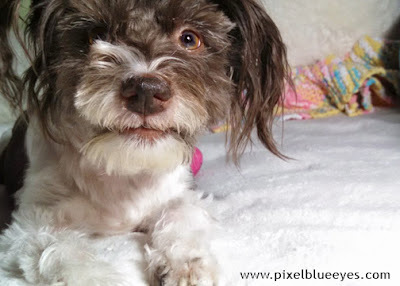 I love you, Pixel Blue Eyes. I always have. (I follow you on Facebook.) Such a cute little face and love that smile. Thanks for sharing your duckie story with us! You are so clever. 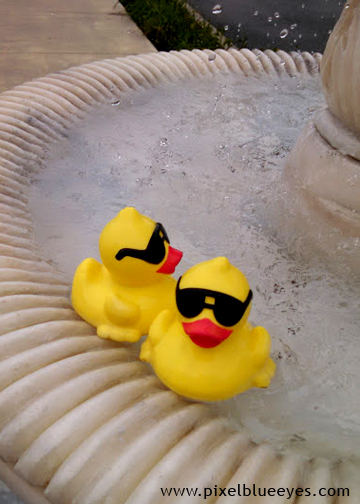 Those are some shady ducks, it's a good thing you guys are always on the lookout!